Our church holds two services each week on Sundays and Wednesdays. Sunday school meets at the same time as our Sunday Service. All are welcome. Our reading room provides a quiet place to read and study. It is open several days a week. We welcome people of all beliefs to our Reading Room to ask questions, study, pray, do research, or sit in our comfy chairs to read in front of our fireplace. 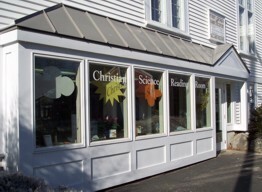 Do you have questions about Christian Science? Take a look at these questions and answers, visit the Helpful Links or visit our Reading Room or Church Services. Download the "What is Christian Science?" brochure. 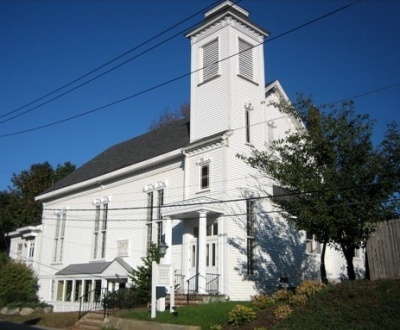 First Church of Christ, Scientist, Camden, Maine, is one of the worldwide branches of The First Church of Christ, Scientist, in Boston, MA, founded by Mary Baker Eddy in 1879. Through the study of Christian Science, many people have found physical and emotional health, answers to their deepest spiritual questions, and an abiding peace. Christian Science recognizes that God is unconditional Love, infinite Mind, and supreme Spirit. We are God's perfect ideas, made in His/Her image and likeness; thus, our true nature is spiritual, and it is impossible to ever be separate from God. When we realize in prayer God's infinite goodness, we are healed. Our pastor is the Bible and Science and Health with Key to the Scriptures by Mary Baker Eddy. 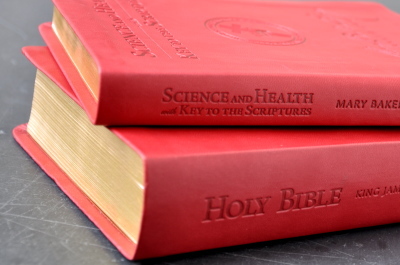 Christian Science is explained in our textbook, Science and Health. In addition to elucidating fully and directly the spiritual teachings of the Bible, Science and Health reveals the principles of healing and harmony that are available now, to everyone.